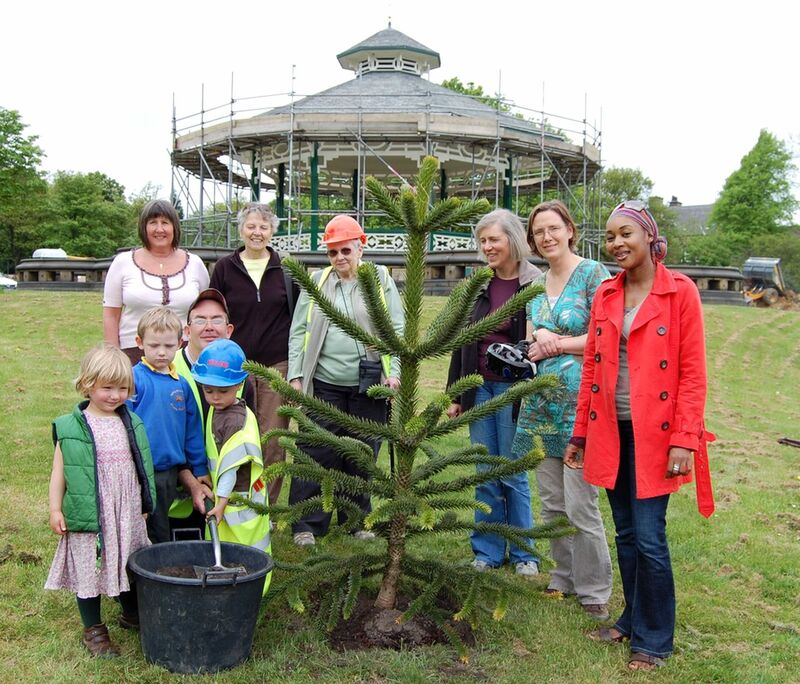 Greenhead Park is a great place to visit, especially now it has been restored to its former glory. Below is some information about what’s available and when, which we hope will be useful for vistors. You can download a leaflet with information about the history of the park and a map to help find your way around – or pick up a copy in the Conservatory. The park opens daily at 7am. 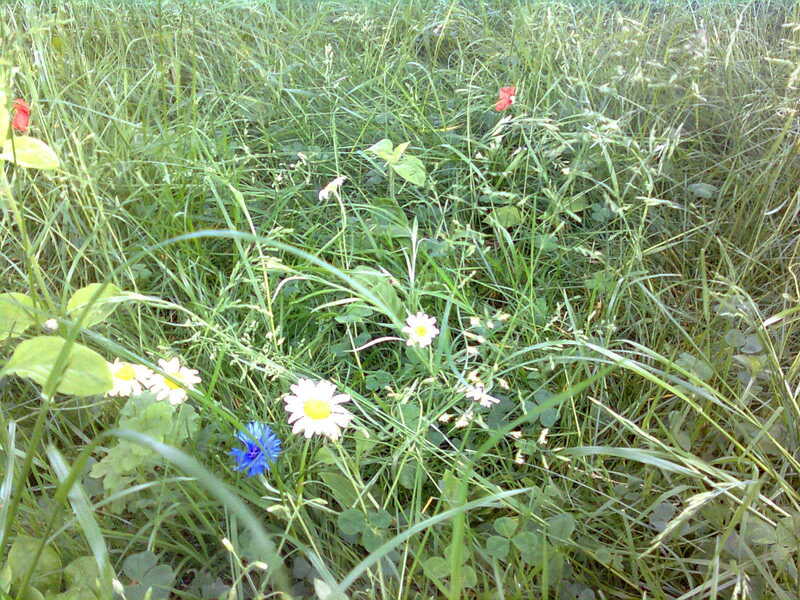 Dogs are welcome in the park but owners are expected keep their pets under control and clear up after them. Owners can be requested to put dogs on a lead if they are causing a nuisance to other park users. The play areas, paddling pool, sports courts and skate park are dog exclusion zones and owners are also asked to keep their dogs out of the lake as they disturb the widlife. Dogs can be taken into the top cafe by the tennis courts and the conservatory section of The Park cafe. 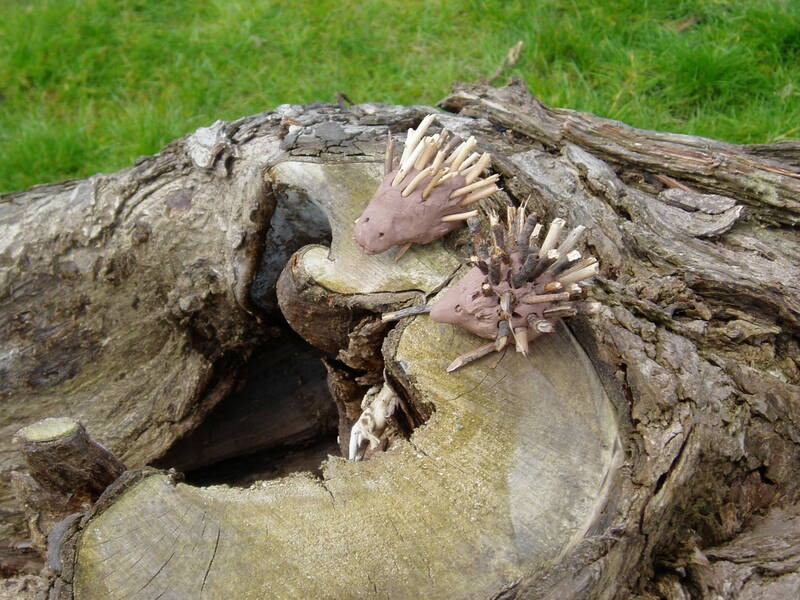 There are plenty of play opportunities in the park for children of all ages. 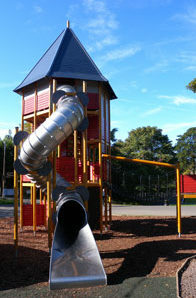 An exciting playground, near the Cafe in the Park and sports courts, was created during the restoration of the park and includes a zip wire, playtower, swings, picnic tables and more. 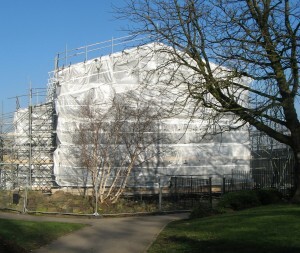 Nearby is an enclosed play area for under 5s (see below) and a climbing wall. A second play area between the lake and the war memorial was originally intended to be temporary until the new playground was ready. 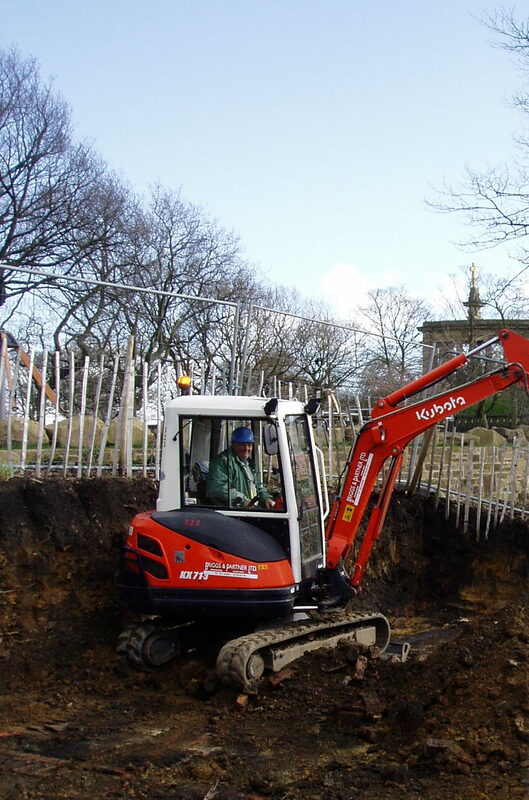 Due to popular demand this was kept for five years, but drainage issues and deterioration of some of the equipment meant its time had run out. 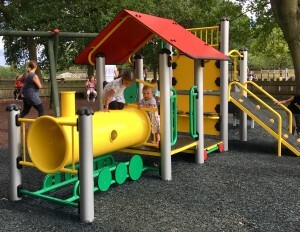 We are very pleased that a new permanent play area, particularly aimed at younger children, has been installed in the same spot and is proving very popular. 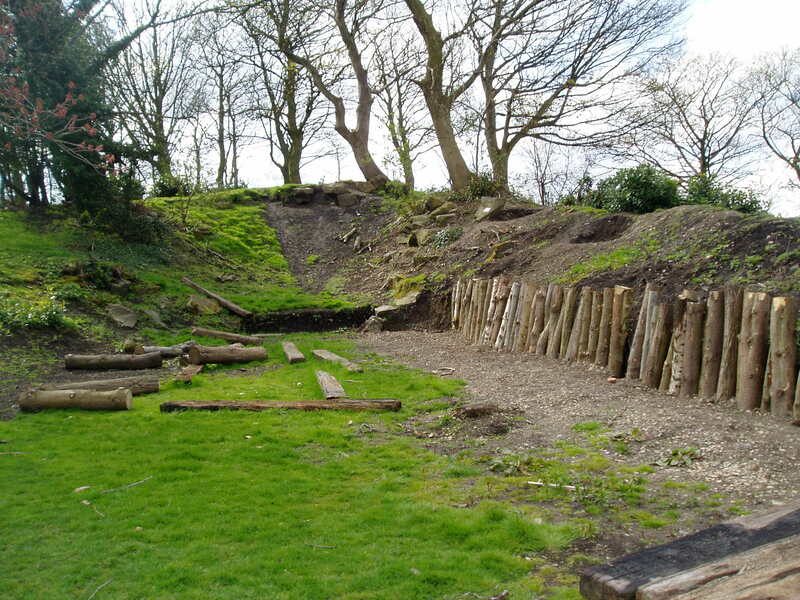 This area includes a climbing net, tunnel, slide, swings, musical instruments plus natural features to scramble round and over – as well as places to sit and watch the children playing. 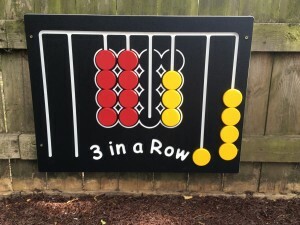 The under 5s play area, completely refurbished in August 2018 after fundraising by the Friends of Greenhead Park, includes a colourful play train, swings with baby seats, twirlies and play panels. The paddling pool has provided summer fun for children since the 1930’s and is still a big attraction on sunny days. The pool is normally open from late May to September, depending on the weather. The water is treated daily to keep it clean and leaves, debris and litter are also removed on a daily basis by Parks staff. The pool does have to close from time to time during the season for cleaning and refilling so can’t be guaranteed to be open every single day. Please note that children using the paddling pool must be under adult supervision at all times and that dogs are not allowed in the pool. 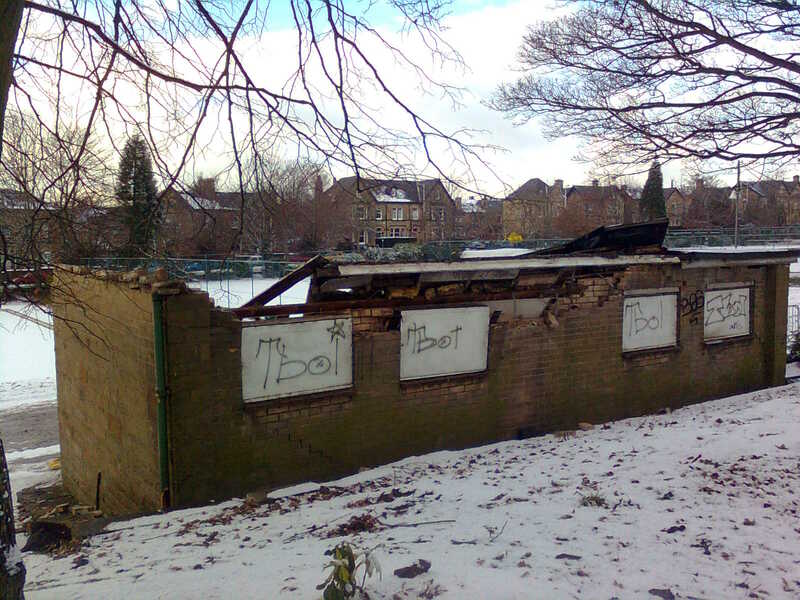 Run by volunteers from the Huddersfield Society of Model Engineers, the current miniature railway opened in Greenhead Park in August 2000. Live steam locomotives run along the 1/3 mile track, starting and finishing at the station behind the Refreshment Rooms building. 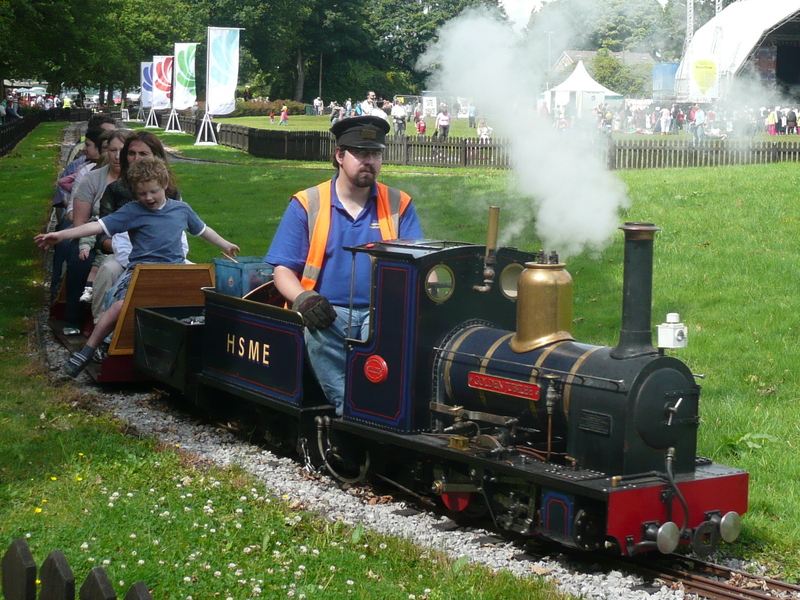 The railway aims to operate from March to October on Saturdays and Bank holidays from 1pm to 4pm, plus Tuesday and Thursday afternoons in the school summer holidays, but please note that the running of the train is dependent on the weather and volunteer numbers. There are extra themed rides at Easter, Halloween and sometimes at Christmas too. See our events listings for more details of special events. You can also find information about the miniature railway on Facebook. Tickets: £1.50 a ride, family (up to 5 people) £4. A variety of children’s rides, and sometimes a bouncy castle, are operated by the Hamer family near the railway and playground at weekends and daily during the school summer holidays (weather permitting). This family run business has been operating rides in Greenhead Park since 1946 and has now passed down to the third generation! Horse and carriage rides are another attraction in the park. 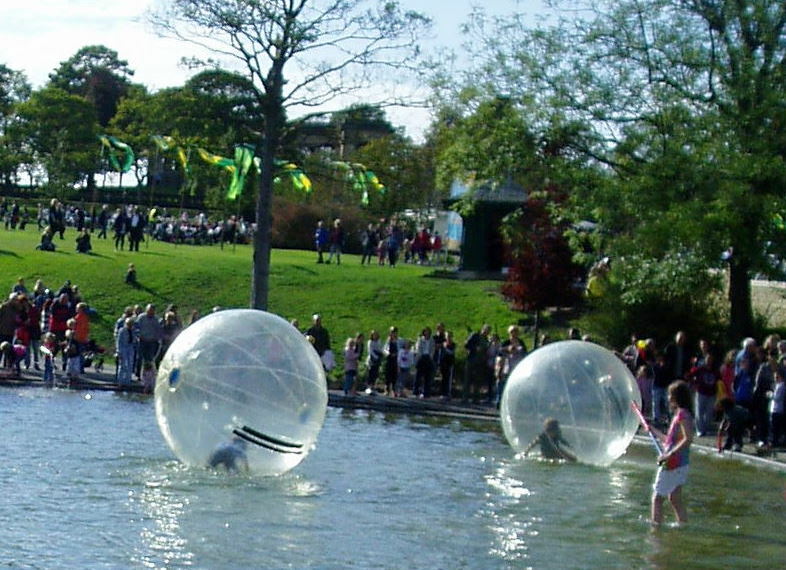 Provided by Rising Sun Farm in Holmfirth, the carriage rides are on offer on the belvedere below the War Memorial on bank holidays, school summer holidays and weekends, weather permitting. The largest of the park’s five original lakes was filled in in the 1950’s but was reinstated as part of the recent restoration. The restored lake has been designed to attract wildlife and dog owners are asked to respect this by keeping dogs out of the water. As soon as the lake was filled, a pair of mallard ducks arrived and a brood of ducklings soon followed! The lake is now home to wildlife of all kinds and surveys have identified a wide variety of species both in and on the water. Feeding the ducks is a popular activity but over-feeding with bread does bring problems, especially in the summer. Bread is bad for ducks and other local wildlife (apart from the rats!). You can now buy small bags of special duck pellets, packaged up by the Friends of Greenhead Park, at both cafes in the park for just 20p. 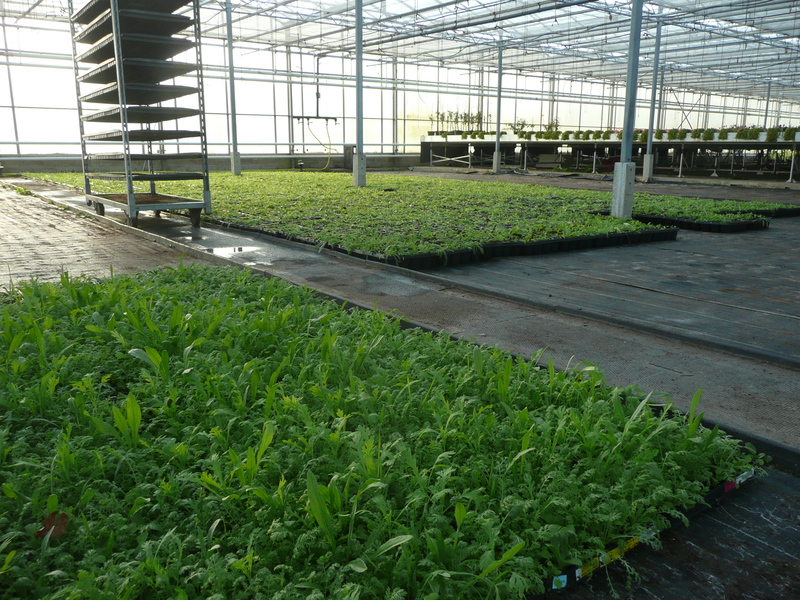 Other alternatives recommended by the Canal and River Trust include corn, oats, bird seed and even defrosted peas. 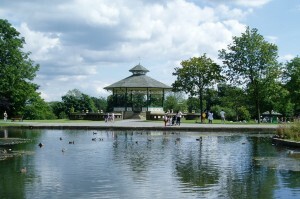 The restored bandstand is a great venue for music of all kinds including brass bands, jazz bands and choirs. Check our events listings for details of what’s on. The council and the Friends of Greenhead Park are keen to encourage more groups to perform on the bandstand and help keep the park’s musical heritage alive. Interested groups are welcome to contact us and there’s also an information leaflet with details of how to put on an event on the bandstand. 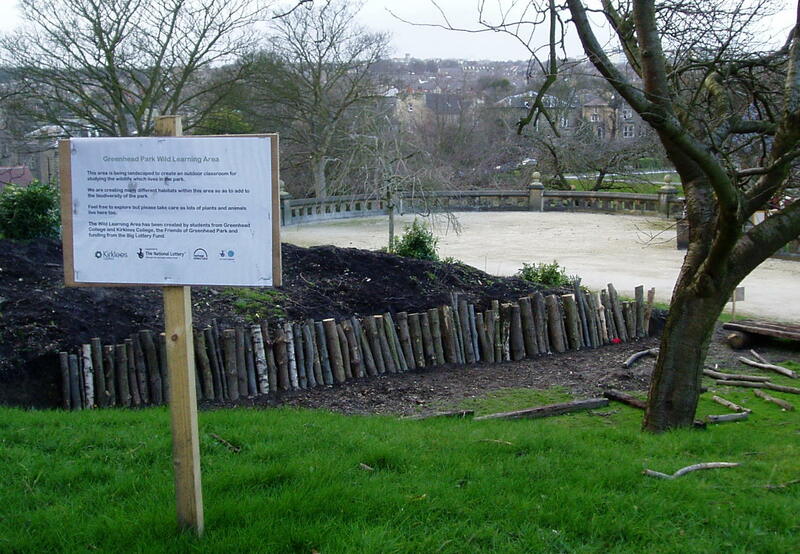 A series of 10 information boards tells visitors about the history of the Park and its main features. A leaflet showing the locations of the boards is available at both Park cafes or you can go to our Park history page and download it. The conservatory was added to the park in 1930 to provide ‘beautiful foliage and flowering plants’ for all to enjoy as well as educating school children in the story of ‘economic’ plants such as tea, coffee, pineapple and tobacco. There was even a banana plant that was much admired! Although no longer suitable for tropical plants, the conservatory is still an attractive addition to the park with its flowered-bordered pond and exotic plants. The conservatory is normally open to visitors when The Park cafe is open and is also used for exhibitions and special events. 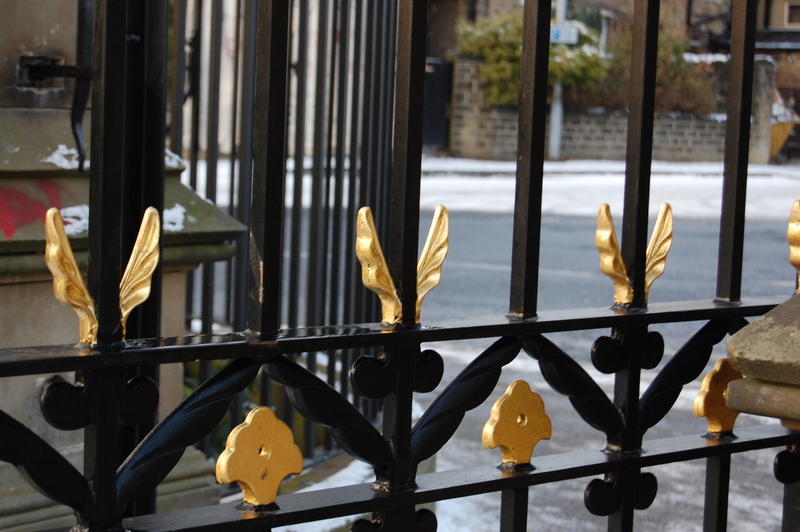 Visitors to Greenhead Park normally have a choice of two excellent eateries both with disabled access and toilets – but please note that The Park cafe (details below) is closed until summer 2019 while essential repairs and maintenance to the conservatory are carried out. The long established Cafe in the Park, in the newly refurbished Refreshment Rooms building by the tennis courts, is open from 10am to 3pm in winter (October – March) and 9am to 4pm in summer (April – September) for hot and cold food and drinks, ice creams and lollies. Outdoor seating is available on the verandah overlooking the tennis courts. 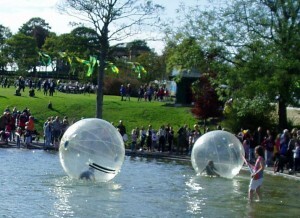 For more details telephone 01484 532561 or e-mail greenheadparkcafe@live.co.uk. 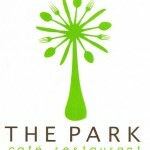 In August 2011, a new establishment, The Park, opened for business in newly built premises behind the Conservatory. 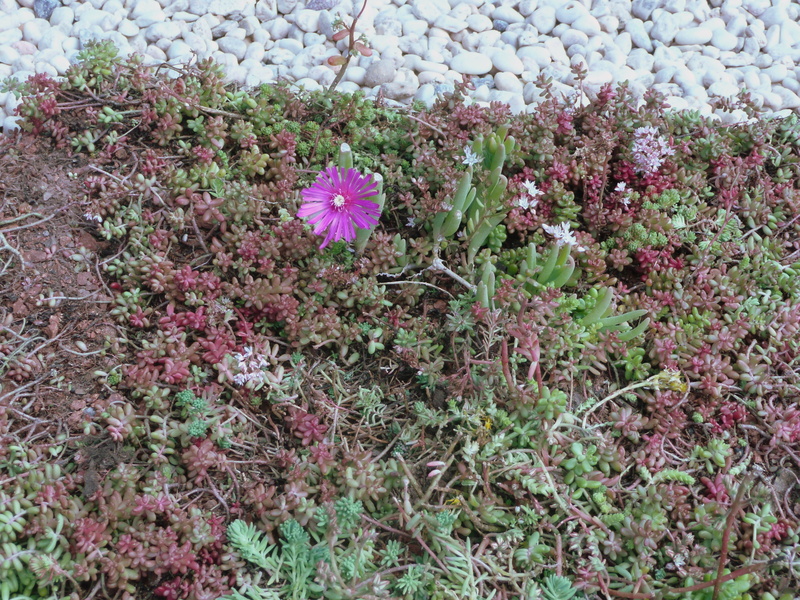 Customers can choose to sit in the new building or the conservatory itself, and there’s outdoor seating available too. The Park is open from 10am (9am at weekends and school holidays) to 4pm There’s a good choice of locally sourced food and drink on the menu plus a special children’s menu. Breakfast is served up to 11.30am, lunch from 11.30am to 2.30pm, and drinks and cakes are available all day. 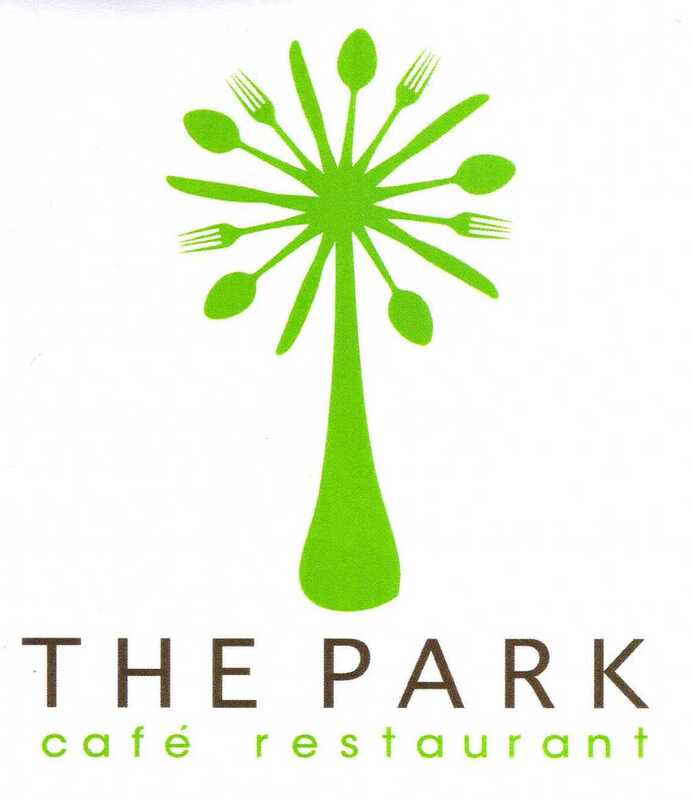 As well as the usual selection of hot and cold drinks, The Park now offers a range of delicious iced drinks. The Park is also able to cater for daytime and evening functions and now has a licence for weddings in the conservatory too (limited to 3 per year). E-mail GHPark.conservatory@kirklees.gov.uk or telephone 01484 221515 for more details or to discuss your requirements. There’s a Pay and Display car park (including disabled parking spaces) behind The Park which costs £1 per hour for up to 3 hours – customers of The Park get one hour’s parking refunded. 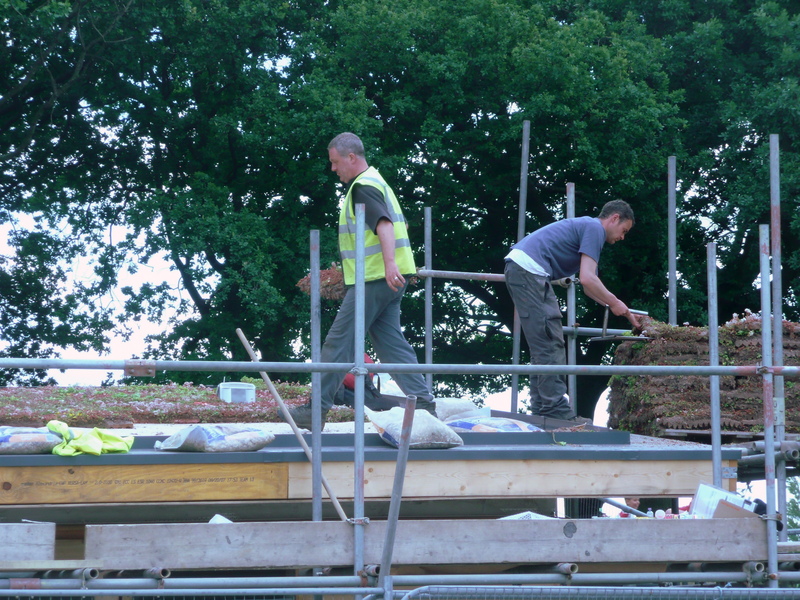 The Pay and Display car park is still open to park visitors during the work to the conservatory. 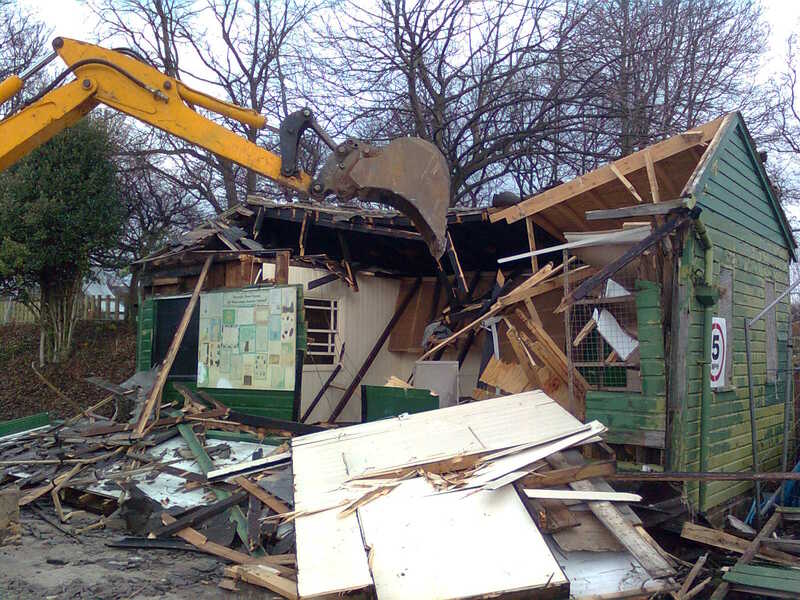 The restored Refreshment Rooms building offers a bookable inside space for community events and activities. 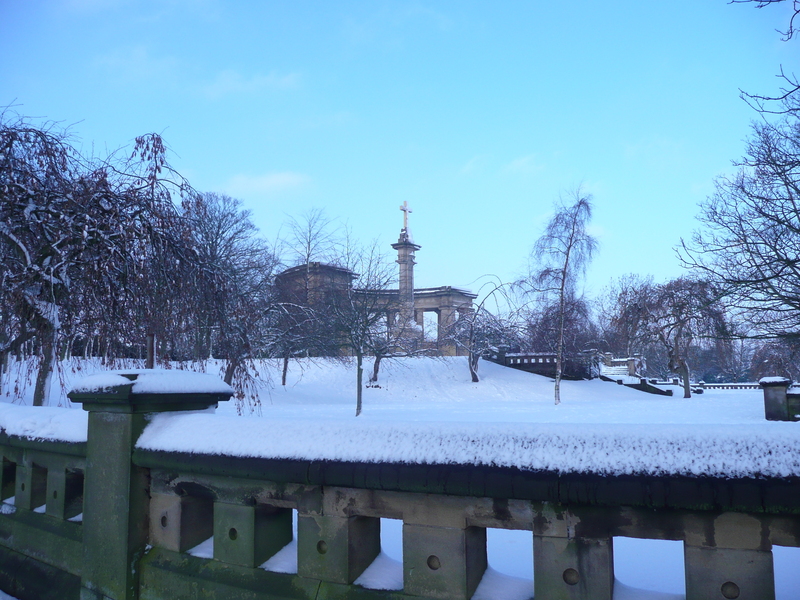 The Friends of Greenhead Park hold open meetings and our popular History Hour sessions there – see our events listings for details of these and other events in the Community Room. For more information about using the Community Room or to book, e-mail parks@kirklees.gov.uk. 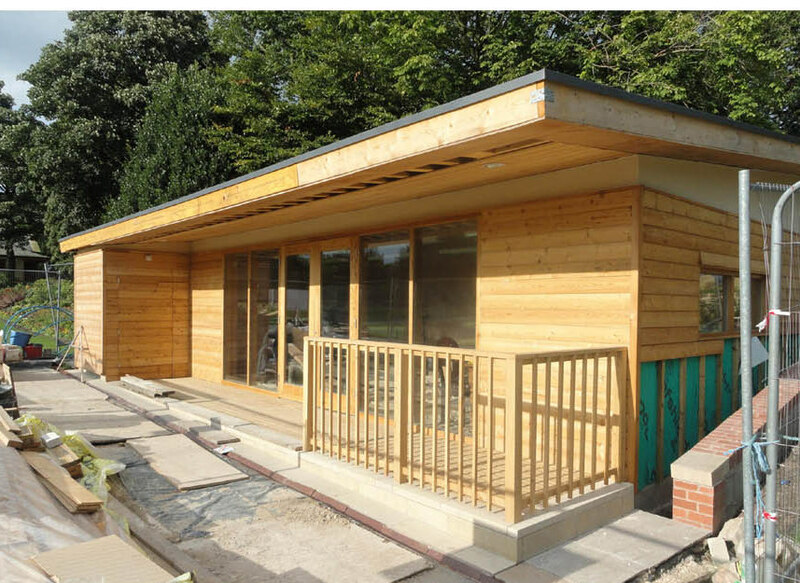 A recent addition to the park facilities is the attractive modern pavilion by the bowling greens. 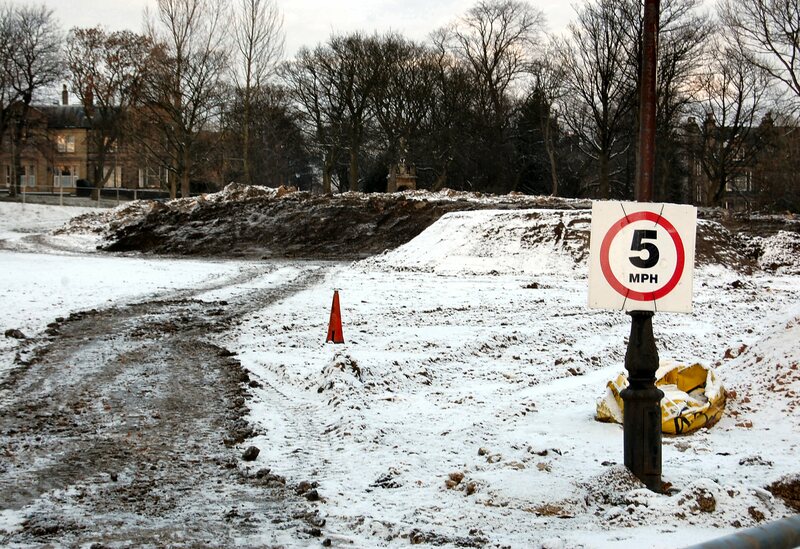 This provides a much-needed base for the Greenhead Park Bowling Club and the Friends of Greenhead Park. 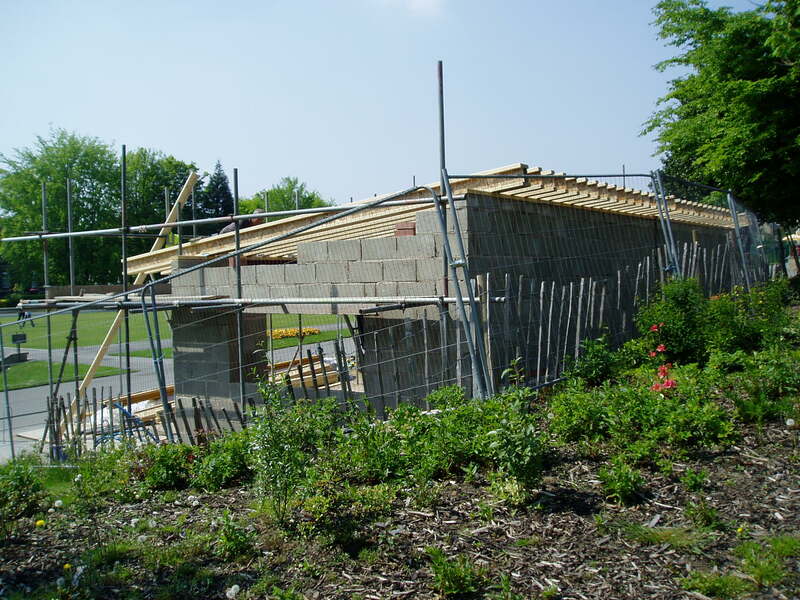 Thanks to support from the Kirklees Environment Grant Scheme, the pavilion is topped by an attractive and environmentally-friendly sedum roof which we hope will also encourage others to consider installing this form of roofing. The building provides facilities for matches during the bowling season and is now used by Huddersfield Croquet Club too. The Friends use the pavilion for our weekly drop-in session on Wednesday afternoons and for smaller meetings and events. 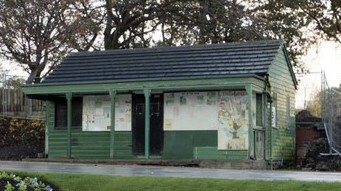 As well as the facilities available to customers of the two cafes, there are public toilets situated at the opposite end of the Refreshment Rooms building to the Cafe in the Park. 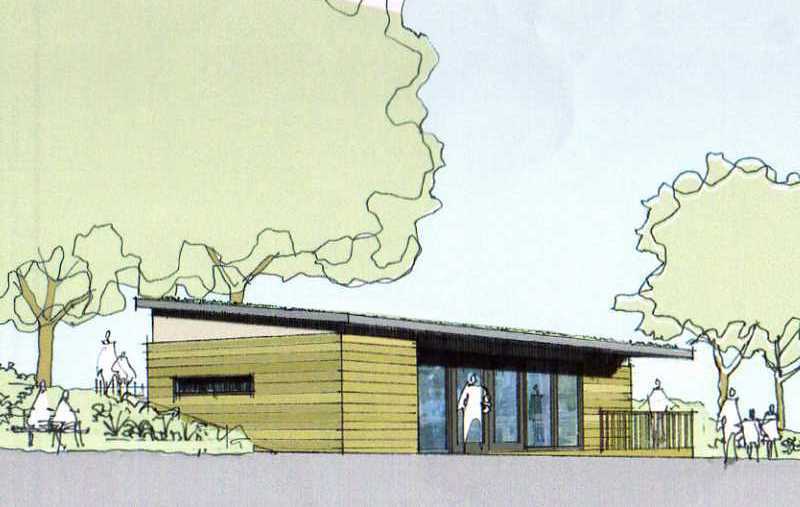 These include a wheelchair accessible toilet and baby changing facilities. Unfortunately, the council is not currently able to keep the toilets open all the time the park is open, and in winter they can only be guaranteed to be open from 9am to 3pm. During the summer, the toilets are normally open from 9am until 6.30pm. The Park has 9 tennis courts and 2 Multi-Use Games Areas for public use. The courts are free to use, and there’s now an online reservation system for the tennis courts, so you can book to play at a time that suits you. There is also a Greenhead Park Tennis League offering friendly singles matches for adults of all levels. Coaching sessions are usually available in the summer – look out for details on our news and events pages, or sign up for our e-mail updates which bring you the latest information about events and activities in the park. 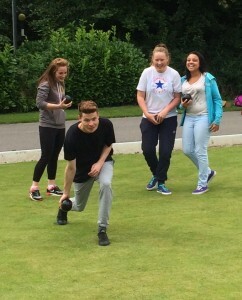 Have a go at bowling! Greenhead Park’s bowling greens opened in June 1927, and the Bowling Club formed that year has been going ever since, so there’s a long tradition of bowling in the park. Anyone is welcome to bowl on the greens during the bowling season (April to September), when they are not in use by Greenhead Park Bowling Club (who currently play in the Huddersfield & District Veterans League) or Huddersfield Croquet Club. There is almost always at least one green free for the public to use, apart from a few occasions when matches are being played on both greens. If you don’t have your own, you can borrow bowls free of charge from the Friends of Greenhead Park on Wednesdays from 1.30pm to 2.30pm – and other times by arrangement. Contact us for more details. 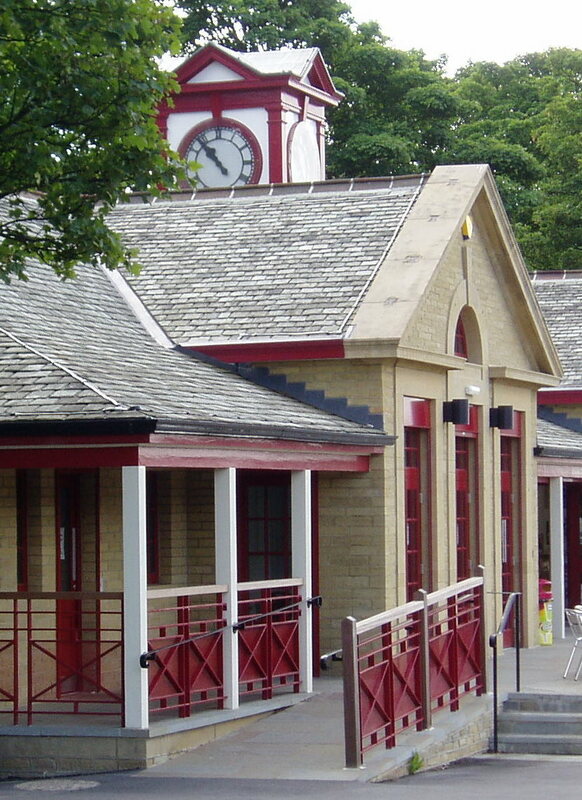 For more information about Greenhead Park Bowling Club, contact Geoff on 07445 994791 or Richard on 07813 738162. Huddersfield Croquet Club use the lower bowling green for practice sessions and matches, usually on Sundays & Tuesday and Friday evenings. There are monthly open afternoons when anyone can come along and have a go, and the Club also offer weekly coaching sessions. For more information, e-mail huddscroquetclub@gmail.com or call Rena Souten on 07799 895350. Completed in autumn 2013 is another sports facility – for those who like bowling with a French twist. 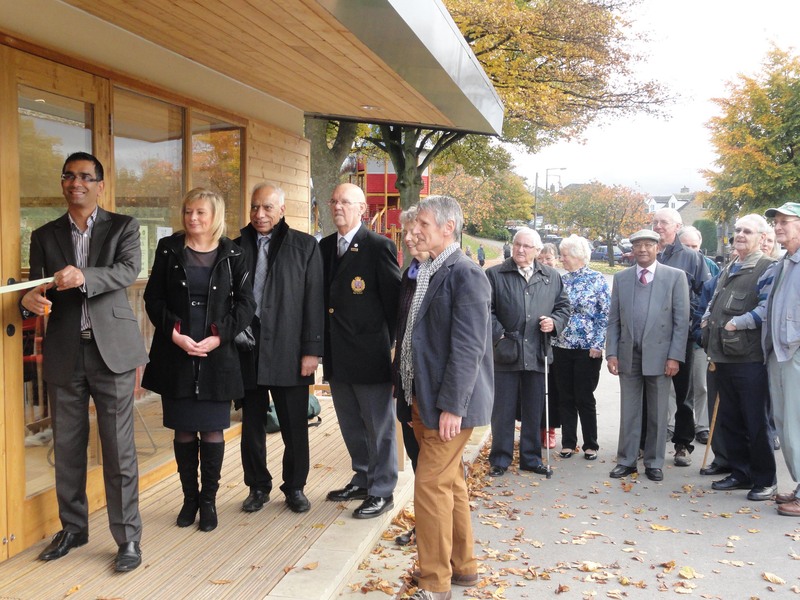 Petanque – or boules – has proved popular in Firth Park, Heckmondwike and Honley, and the new Greenhead Park terrain is now attracting people of all ages. 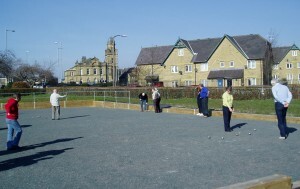 Huddersfield Petanque Club runs regular sessions at the terrain and newcomers are always welcome. You can find out more about the Club and its activities at Huddersfield Petanque. 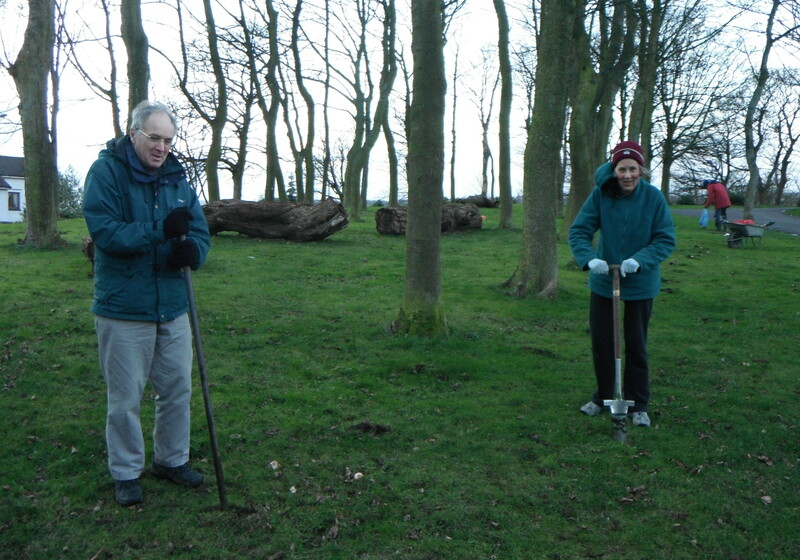 A new permanent orienteering course, installed in summer 2015, provides a fun way to navigate round the park. There are four options to choose from – two short courses (A & B) which can be completed by wheelchair users or people with buggies, scooters etc; one medium length (C); and one which takes in all the controls (D). Just download the map, which includes guidance on how to complete the course, and get orientated! Another new addition (August 2015) is a measured route for running, jogging or walking 1, 2 or 3 miles. Greenhead Park’s 3-2-1 route caters for everyone including pushchair and wheelchair users, as it is all on pathways and there are no steps involved. There’s a map showing the route, or you can just follow the colour coded signs. Opened in summer 2013 is a Trim Trail for fitness fans of all ages who’d like a workout in the fresh air rather than the gym. You’ll find a variety of equipment at four points around the outer edge of the main events field including stride jumps, ladder and abs bench. 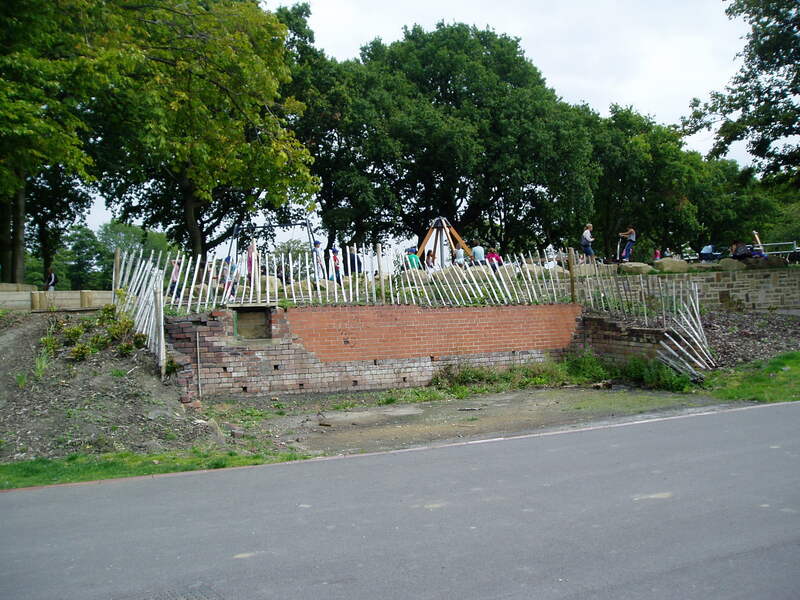 The Greenhead Park skatepark is a great attraction for young people who want to hone their skateboarding skills. The site welcomes BMX bikers and rollerbladers as well as skateboarders, and there’s free and open access during park opening hours.